Ryan has been very out of it today, but that is a good thing as he needs to rest and heal. He still has his epidural in which is a blessing as the anesthesiologist gave him an extra boost of drugs this morning. Unfortunately his IV infiltrated again. The transport team tried one in his arm that blew so his foot became the next target this evening. Hopefully this one will last. The poor kid has been poked seven times in 48 hours, and three IVs have blown. Tomorrow Brad comes home from college for a week before he starts leadership training at the camp he will be interning at all summer. He is coming to the hospital then will head home from here. The other kids will be here tomorrow as well. Sidney has come every day and likely will continue to do so until Ryan comes home. I have really enjoyed her company as hospital life gets lonely at times. She knows him like the back of her hand, and it is nice to have someone here who can anticipate his needs and knows what he is saying when he growls or hits his head on the pillow. Please pray this IV in his left foot holds so we do not have to poke him again. It is so important for him to get the IV anabiotics and fluids as we are trying to restart his tube feedings very slowly. This afternoon he started at one third of his normal feed rate in his J-tube, but he is getting Pedialyte instead of formula in hopes that he will not get another ileus – another reason why the IV is so important to maintain. His bowel sounds are not very active so hopefully they will keep things moving and not stop completely. I will update again tomorrow, but thank you for your continued support and prayers. Ryan is back in the room and settled for the evening. Surgery lasted about 3 1/2 hours, and we are so thankful the surgeon was able to use Ryan’s appendix to connect his bladder to the stoma which is his belly button. That means he did not have to do a bowel resection and use a piece of small bowel for the connection. Ryan has an epidural to help with pain, but we are trying to avoid narcotics because of his history with bowel obstructions and ileuses postop. Your texts, prayers, and encouragement are so appreciated. This is been a very stressful day but we are thankful everything went well in surgery. Much love to you all. Good morning! Ryan is bathed and lying in bed watching Grandpa (my dad) and dad have a conversation. Travis’ mom should be arriving anytime now, and we are so grateful to have our parents here with us. Yesterday we got to Children’s at 930 AM and were happy to see a nurse who has taken care of Ryan in the past. She remembered him, and we are glad to have her assigned to him again today. Yesterday the nurses tried twice to start an IV and failed both times. They called the PICC nurse who used ultrasound to start one in his upper arm, and Ryan got his first two antibiotics. While his fluids were infusing, he started getting upset, and we noticed his IV had infiltrated. His poor upper arm was hard, red, warm and full of fluid. So needless to say, our IV experience did not go so well yesterday. The transport team came up to start a new one as the surgeon came in the room. Thankfully, he decided to skip the IV and just hydrate Ryan through his feeding tube. He will get new IVs in surgery. Speaking of surgery, he should be heading down in the next hour. I will tell you that even as a nurse who understands a lot about medical procedures, I know this surgery is complicated. I do not think I have allowed myself to accept the scale of complexity Ryan is facing. We are praying the surgeon can use the appendix for the procedure because if not, Ryan will end up having a bowel resection to use a piece of the small bowel as the conduit from the bladder to the belly button which will be the stoma we will cath him through. He will have a large incision in his belly as well. When we can take him home, Ryan will have a suprapubic catheter stitched into the newly created stoma in his belly button to allow everything to heal and keep it open as well as a catheter in his privates for three weeks to keep his bladder empty during the healing period. All this because the nerves to his bladder have failed. Please pray he does not end up with a bowel obstruction or ileus as that is his history, and because his abdomen is being operated on and his intestines will be manipulated, the risk is much higher with this surgery. Pain control will also be an issue as the anesthesiologist is going to try to refrain from using opioids as they contribute to the ileus problem. But that said, if we think Ryan is in a good amount of pain, we will be pushing for pain control over worry of a blocked bowel. It will be a very delicate balance. When he had an ileus after his fourth brain surgery in 2012, he was hospitalized for a month and ended up on TPN. I really do not want a repeat of that. Please pray for our older kids as well. They struggle every time Ryan is hospitalized, but this time they understand the complexity of the situation and how hard the recovery will be for Ryan. That weighs heavy on all our hearts as he simply will not understand why he is so uncomfortable. One of the kids is having physical symptoms because of the amount of stress which just breaks my heart. Your support is such a blessing to our family, and we cannot express how much it means to know we have a strong, loving tribe around us. I will update after surgery is over which will be a while as this is expected to be a four hour surgery not counting his time in pre op and recovery. It was 1994. June 11th to be exact. As we stood before those who love us and whom we also love, we made a commitment to stay together til death do us part. In sickness and in health. We truly had no idea the rosy future we dreamed of for many months would some day look a little bit bleak like a rainy day that refuses to clear. We dreamed of happiness, laughter, little ones running around behaving perfectly. We dreamed of plenty of money and no worries of paying bills. We dreamed of amazing vacations and the perfect four bedroom, two-story home. And for a bit, for a couple of months, we had our perfect life. And then the wave of uncertainty and pain hit. The wave of sickness crashed over my mom as she was diagnosed with multiple sclerosis, and my parents marriage began to crumble. The wave of divorce hit hard upon our family as the devastation of a family torn apart settled over my identity. The wave of a life lost enveloped us when our first baby died just 24 hours after telling all our family we were expecting. The wave of anger swallowed me when my mom was admitted to a nursing home at the young age of 50 as MS ravaged her body, and I had to go to court to become her guardian. The wave of sorrow swirled around me when my sweet mom, one of my very best friends, struggled for breath drowning in wet lungs that suffocated her. The wave of shear grief was present as my sisters and I watched her die in that nursing home 3 1/2 years after she was admitted. The wave of confusion took residence in my heart as I tried to justify the unfairness of not having my mom to teach me how to raise my little growing family. And yet our marriage survives. Through the waves, through the tears, through the painful days, our marriage took hits from time to time. But we pressed on, never giving up. We were blessed with four littles in five and a half years as our home grew in laughter, sticky fingers and messy spaces. He loved his career in law enforcement working odd hours but enjoying every minute at home with our young family. I was blessed beyond measure to stay home with our babies. The days turned into years then the next crashing wave hit. The wave of special needs. The wave of deep sorrow and painful, hot tears. Those were exhausting years of changing diagnoses. Intractable epilepsy, developmental delays, autism, genetic testing x2 with no answers, therapies, head banging and helmets, stress and more stress and even more stress, sleepless nights with a raging child, medication after medication, travel out-of-state for answers that never came, a feeding tube, special ed and IEPs, nine months driving to Omaha every day for three hours of severe behaviors therapy, tears and depression and financial ruin. And then, in the midst of the stress of raising a child with special needs, we endured the biggest devastating event an officer could withstand short of losing his life. And yet our marriage survives. Then came the brain surgeries for constant seizures – three in eight days – and the right frontal lobectomy. Then the fourth brain surgery 14 months later. And the stomach problems. Diagnoses and procedures like gastroparesis and ileus and neurogenic bowel and cecostomy and total parenteral nutrition. And yet our marriage survives. So here we are. Almost 23 years in the books. We still laugh. We hold hands. We smile and kiss. We take trips to get away. We fight for resolution when the disagreements happen because they do come. We do not give up. I rub his feet, and I hate feet. He brushes my hair because it relaxes me. We irritate each other and stomp out of the room sometimes. We cry together. The hard times roll in. Those crashing waves almost drown us. We say we want to give up. But we do not. And yet our marriage survives. We just did not get it at the time. We did not understand the impact those 27 words would have on our marriage. We were deaf to the significance of the command to trust and acknowledge the Lord. Yet that is exactly what saw us through the hard times when the waves threatened to drown us. That verse is exactly what kept us going. We did what it said. We trusted. We did not put our faith and reasoning in what we saw before us. We did not try to justify and alter His plan for us. Today we continue to walk by faith even when it is so hard. And yet our marriage survives. One night when Travis was patrolling the streets of Lincoln, I laid in bed sobbing. Ryan was 16 months old, and we were having a terrible time with him. I cried and screamed at God. I called Him awful names and told Him to go to hell. I told Him He sucked, and that I hated Him. I let God have it. And then in my silence when words failed me and breathless sorrow encompassed my soul, I heard Him say these eight words that changed my world: He is as I intended him to be. My precious Ryan. And I simply knew it was true. Something changed that tearful night. Something in my spirit found renewed hope. Life did not get easier, but it became bearable. Ryan did not get better, but he became more valued. Finances did not get easier, but the bills were somehow always paid. Marriage did not require less work, but the little successes meant so much more. And yet our marriage survives. Here we are nearly 23 years in. Here we are 13 years surviving the tumbles and tears of raising a child with disabilities who continues to weaken and decline. Here we are facing another big surgery in four days because another body system is failing our sweet boy. Here we are facing the grief of another loss, another care, another responsibility. And yet our marriage survives. Statistics say couples with special needs children have an 80% divorce rate. While proven to be quite an exaggeration, it is true families with special needs children are closer to a 10% higher divorce rate than couples with typical children which is not much. We simply refuse to give up. We keep working hard to give selfless love. We share a love that has survived many tears and much heartache. And more will come. The difficulties and painful days are not behind us. We know that. We will face it together like we have done in the past. And yet our marriage survives. I love this time of year watching the vibrant changes as the picture outside my window springs back to life. This year we are occupied with golf and preparing for another graduation, just as we did last year. But before we get to May 28th when Sidney will walk across the stage for the culmination of her high school years, Ryan will be heading to surgery. Let me explain – Over the past several years, Ryan slowly lost his ability to stool. For an unknown reason, his large intestine stopped working as we tried every possible remedy to no avail. As a result, he had a cecostomy placed to keep his GI track moving. The day after surgery, the surgeon came into our room and told us a neurogenic bowel and neurogenic bladder often go hand in hand. He jokingly said, “if you ever need a Mistrofanoff, give me a call”. Little did we know just a short year or two later, Ryan would start to have trouble urinating. In November, I took him to see a urologist who did a kidney ultrasound and discovered Ryan’s kidneys look great so there was no explanation as to why he was holding his urine for very long periods of time. Of course we knew all along it is simply another unexplained neurological failure. For the past several months, his ability to empty his bladder has began to slowly dwindle. I have been doing intermittent catheterizations on him for six months, but he is still putting up just as much of a fight now as he did when we started all of this. I cannot blame Ryan for not wanting someone messing with his privates, and we cannot explain it is in his best interest to cooperate. For me to cath him, I have to sit on top of him to hold his legs down while someone else lies across his chest and holds his arms down. If a home health nurse were to come in and do it while I am not home, it would then take three people to get this accomplished as a home health nurse is not going to sit on top of him to restrain him. And it is not realistic or even possible to get that kind of help. As a result of Ryan’s inability to understand and cooperate with all of this, and because his ability to empty his bladder continues to decline, we have made the difficult decision to do a pretty major surgery called a Mitrofanoff or appendicovesicostomy. This is a surgery where the physician will take his appendix and make it into a tube that connects his bladder to his belly button thus creating a stoma to cath him through so we do not have to go through his private parts. It is a long surgery, and Ryan will be hospitalized for five days afterwards. He will go home with a suprapubic catheter from the newly created stoma to allow for healing then we will follow-up in three weeks to take that out and start cathing him. The recovery is painful including bladder spasms for a few days. Ryan will not understand why we are putting him through this which is difficult for Travis and me, knowing the pain he will have to endure. While it is short-term and the long-term results will mean no fighting and restraining to empty his bladder, it is still difficult to put him through this. Travis and I are always looking long term at what we have to do to give Ryan the best quality of life. This is just the next step. We are grateful for technology that allows for options such as this, but it never gets easier to put Ryan through another surgery. It is hard to accept one more failing body system. It is difficult to ignore the elephant in the room that tells us there is nothing left to fail that is not a major body system – heart, lungs, kidneys, liver. He has stopped walking independently, and will only take steps when we force him to do so. Even then, his balance is poor, and he requires assistance. And his poor brain just cannot get a break from seizures. They just absolutely ravage him. As his body slowly fails and weakens, his spirit remains strong. Ryan loves to be vocal and interact with others. What a blessing it is to have him present with us even as he slowly fades. He is a cherished treasure, and we are so very thankful for every day we get to love on him and provide for his needs. We do not take a single day for granted. But if I am honest….if I bare my soul and allow you into my heart, I will tell you I am tired. I am so very tired of the constant fight. I am weary from having to stay one step ahead trying to navigate and guess what his needs will be, of what next steps we have to take to keep his quality of life as intact as possible. I am scared for a future of declining health and unknowns. I know what is coming, but I cannot accept it today. But thankfully for this day and the tomorrows within reach, all I have to think about is a surgery I do not want to put my child through. A surgery I know is absolutely necessary. The rest is in God’s hands. The future is His to decide. And really, every day is His. I know that. I rest in that promise. But it is still so hard. Some days I am simply tired of the fight. I want a break that never comes. I want a respite from the cares and the oversight and the constant work to keep my sweet boy as healthy as possible. And with all that said, I would not trade the gift of caring for him for anything this world could offer. Even in the fog of stress, it is a privilege and joy to serve my sweet Ryan. So in my fatigue and weary state of mind, I am asking for prayer. Sending this boy back to surgery generates stress and worry for the older kids. They do not say much, but I know the stress and sadness is in there, lurking just under the surface. They worry and fear for the unknown. They love their brother without abandon. And of course Travis and I are not looking forward to this either. We feel the stress. We share the grief of another loss. We look into each other’s eyes and see the sadness Ryan’s failing body brings. As every parent would, we want to save Ryan from this surgery, yet we know it is necessary and will benefit his quality of life. So please pray for all of us as this hospitalization is looming in the next two weeks. Trevor is in the middle of golf, Sidney is trying to tie up the loose ends of the semester while waiting to hear if she gets the scholarships she is hoping for and making graduation plans. Brad’s last day of finals is the day of surgery. Please pray for him to have clarity of mind and focus as he finished his first year of college. This should be an energized, exciting time for them without worry over their brother’s health swirling like the blowing wind throughout their days. Your prayers are much appreciated. Here are the details of this next surgery for those of you who want to know – Admission to Children’s is Thursday, May 4th in the morning for IV antibiotics and blood work. Surgery will be Friday, May 5th at 12:30. Some have already asked how they can help. The older three kids will all be home as of May 5th so gift cards for them to grab some food would be appreciated. I am so very thankful they can all drive and have their own cars. It will be a bit chaotic, but as we have done many times before, we will all forge ahead and get through this next hospitalization. Ryan has had many surgeries and admissions over the years, and every time, we have been surrounded by your prayers and support. I only wish I could adequately express how grateful we are for those of you who have loved on us and been so very gracious. I only wish you could all fully understand how very loved and appreciated you are. Spring is finally here, and the plants in my yard are all coming to life. I simply love this time of year when life seems to resurrect itself, and all the colors surface outside. Time marches on whether we want it to or not, and one look outside at the emerging growth is a tender reminder of the changes happening to those inside our home. Brad is finishing his freshman year of college and is simply loving life. He is thriving and absolutely loves his friends and activities at Western. Travis and I were saddened to hear he will not be coming home this summer, but after Brad explained what he wants to do, we got excited for him. Brad is going to work at a camp in Missouri this summer supervising the camp counselors. It is a camp for low income kids so he will not get paid, but the experiences will be life changing. He is also going to the Dominican Republic for eight days in July during a two weeks break when he does not have to be at camp. This trip will be a missions trip with BSU which is the student ministry he is very involved with at Western. Travis and I thought we would have one more summer at home with our oldest before he spreads his wings and makes his way in the world, but we were wrong. As much as I would love to have him under my roof for just one more summer, one more period of time to love on him and spoil him, Brad is doing exactly what we have raised him to do – go out into the world and make his mark. Sidney is excitedly counting down the days until graduation. I still shake my head thinking back to the day in October of her sophomore year when she approached Travis and me and said she needed to talk to us, that we were supposed to just listen and not say anything. She told us about her plan to graduate a year early and was just dead set in her idea. After promising to give it some thought and not make a final decision for a few months, Sidney kept to her plan and is graduating as a junior with more credits than she needs. Her drive and determination are amazing. For a long time I doubted whether we were making the right choice by letting her graduate a year early, but now I see how ready she is, how her drive and maturity have prepared her for the next step. Sidney is going to UNL this fall and will live in the dorms. I cannot wait to see how college life looks on my girl and am thrilled for the beautiful future ahead of her. Trevor is back for his second season on the golf team and has another week before his first tournament. He is happy and content and looking forward to what is coming in just ten more days – his 16th birthday! Trevor passed his driver’s test over spring break so he is set to hop in his car and drive off. I can hardly believe he is old enough to drive, but I am very excited for the independence he will have in such a short time. Trevor is really like the youngest child and all of our “lasts” happen with him. So while I am excited for him to be able to drive himself wherever he wants to go, it is kind of sad realizing no one relies on my to transport them anymore. The only reason I need a van at this point is to get Ryan’s wheelchair from here to there. Otherwise, the back seats remain empty as the kids drive themselves where they want to go. Ryan has had some big changes in the past few months with med changes that are slowly decreasing his seizures. We just started the transition of taking him off the Ketogenic Diet as well as it is hard on his body and has not shown any improvements to the number of seizures he has. With the new med changes Ryan is going through, he has become more talkative. We became so accustomed to him being very quiet all the time, so this new noisy boy has been fun to see again but annoying at the same time when I am trying to concentrate on something. I am not complaining because I absolutely know how precious the noise is. Unfortunately Ryan continues to lose systemic strength as his gait is more unsteady, his legs are weaker and his endurance is draining. It is the slow decline we have become accustomed to. He does not tolerate being out in public like he used to and in the last three or four times we have tried to go out to eat, one of us has ended up in the car with him because he could not handle the noise and activity much like when he was younger. It is not even worth trying to take him out in public anymore because he is so unpredictable, and we all just end up upset and disappointed. Regardless of what he can handle, Ryan is loved and spoiled rotten. He lacks for nothing. We are looking forward to seeing the finished product in the bathroom remodel currently being done in our bedroom. It will be handicap accessible in just a few days because we need a way to bathe Ryan without having to lift him in and out of the bathtub which has become a monumental task for me. Because he is now 5’3″ and well over 100 pounds, it is difficult to lift him from a sitting position out of the tub. Our bathroom is the best option for a handicap accessible bathroom, so it is being remodeled. I’m not looking forward to all the storage we are losing, but at the end of the day, what is important is for none of us to be injured trying to take care of Ryan. Otherwise Travis and I are doing well. So much of our lives revolves around the kids as we are cognizant that our days with them around are quickly coming to an end. We do make sure to get out and spend some time focusing on our relationship which is so very important. I can hardly believe we will celebrate 23 years of marriage in just a few short months. It has not always been easy because life is full of surprises and changes, but it has been a blessing to wake up every day and do life together. Not a day goes by that we do not count our blessings and remember all the good we have been given. This morning while sitting in Sunday school, I got a text from Brad that his car would not start. And while this would usually not be a big deal, he is still in St. Joe and has not come home for Christmas break yet. It is the first time, as a first-time college mom, that I was helpless and could do nothing at all. I am so very grateful for parents who came to the rescue. Thankfully, they got his car started, and he is headed home. After I got the news Brad was on his way, I began crying as I was humbled by God’s provision. I had just gotten into my car and heard the song Good Good Father by Big Daddy Weave. I am convinced God puts music on the radio that we need to hear at just the right time to remind us of His protection and provision. This is the first time I have had to deal with a situation where I was not there to help. Brad was truly in God’s hands. 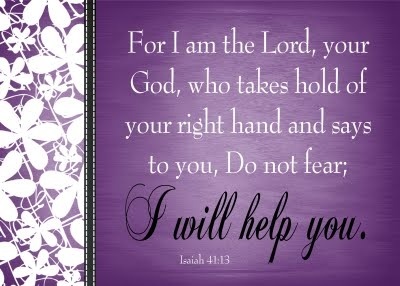 And even though there were other parents there who care about him and were there to help, it was just a huge trust issue for me to remember that he is the Lord’s first. And I had to say out loud as I was driving, “he is yours first, Lord, not mine, and I know You love him more than I do”. What a great reminder that the Lord cares so much more about our children than we do. This has been a very emotional week, and I am certain the emotions of the other events that have overwhelmed my heart and filled me with sorrow and grief absolutely caused Brad’s car not starting to seem worse than it was and amplify an otherwise minor dilemma. You see, I never imagined that over the years I would have to learn to do so many medical cares for Ryan. People do not think about these things when they decide to have children. I certainly did not sign up for this when we decided to have another baby. Watching him decline ever so slowly has been painful, but it has become our normal. I think in some ways, I do not realize the difficulty that comes with raising a child like Ryan because I have just accustomed myself to this lifestyle. But this week, as we discovered he is most definitely developing a neurogenic bladder, intervention is necessary….I simply do not want to face it. We now have orders to cath Ryan when he has not urinated for 12 hours and are just waiting for Children’s to deliver the needed supplies. You know, as a nurse this is a very simple procedure that I have done hundreds and hundreds of times. But things get very personal when I now have to cath my own child. I really cannot explain the emotion that goes into this new normal for us. I am not ready or looking forward to the discomfort it will cause my sweet boy. I am not ready to face a new normal that we will never escape. I am not ready to accept that someday cathing will be the only way he will be able to urinate as another body system shuts down. I am not ready to accept any of this. So this morning, my oldest’s car would not start, and this mama’s heart just wanted her boy home. It was just too much as the two situations meshed together into one jumbled mess in my heart. It felt like one more thing not going my way; one more thing out of my control. The tears flow so easily today because I just want joy and peace in my home. I do not want to think about medical interventions and how scary they sound even when it is something that is so known to me as a nurse. It is known to me as a nurse, but not as a mom. And my dear, sweet husband can hardly stand the thought of having to learn to do this procedure. So today, I just want all my kids under one roof. I want laughter and dancing and silliness. I want distraction so I do not have to think about or face this new normal with Ryan. And having Brad home will make all things right in my little world even if just for today. Through it all, I have a real sense of urgency in releasing my kids back to God. It is a daily process every parent must face, but I know in the depths of my heart that the Lord loves all of my children far greater than I do. We cannot understand the Lord’s protection and love for us. Who am I to doubt His provision? Who am I to doubt the hand of God as He has faithfully provided over the years? Who am I to doubt the mercies of a loving Father? It is easy to say I have faith, but putting it into action and making it a part of my daily routine, that is what takes work. And that is exactly what I am working on now – having faith that this new normal is not new to God and that He will carry us through until it, too, becomes routine. Sometimes fear and uncertainty overcome my heart, and I find myself hurting as the tears so easily flow down my cheeks. In those moments, I have to go back to the Word of God. I have to return to the one thing in my life I know to forever be constant. I have to stand on the truth of God’s promises. I have to reflect on His goodness and provision in all things. I think of Psalm 91, my absolute favorite chapter of the Bible. I will say of the Lord, He is my refuge and my fortress, my God in whom I trust. The holidays are upon us, it is December already, and in another week the oldest will be home for a month. This time of year passes so quickly; it is often hard to stop and grasp the significance of the season and give it the time and attention it deserves. Just last week in our Masterpiece Sunday School class we discussed the account of Christ’s birth. One of the class attendees said Christmas is about Jesus’ birthday while another said it is about His death and resurrection. Both were right; Christmas is so much more than just celebrating Jesus’ birth. More importantly, it is about celebrating the hope of eternity we all have because he came. Life has been busy around here just as it has been for all of you, I am sure. I had the opportunity to fly to DC to see my older sister on Veteran’s Day. We spent two days in NYC which was fun as I had not been to the city before, and I truly enjoyed four days with my sister. Just ten days later on Thanksgiving morning, Travis and I flew to San Francisco for four days. The kids stayed home by themselves and did absolutely great. Ryan is so much work, but they all pitched in and took excellent care of him. I am so proud of those older three because taking care of Ryan is time consuming and can be overwhelming, but they did it without complaint! He needs constant supervision, and his seizures can be so stressful on top of all his medications and feeding pump and diapers and baths and everything else that is required to care for him. Travis and I were able to have a great time in the Bay area and enjoyed the time away,and I got to cross this trip off my bucket list. My sister was gracious to have the kids over for Thanksgiving which worked out well, especially considering she lives in our neighborhood so the kids did not have to go far. And best of all, they had a great day together. Brad loves college and has been blessed with an amazing group of friends. He is doing so well which makes me happy as a mom to see my oldest thriving and enjoying this transition to adulthood. He is dating a girl who is simply beautiful – both inside and out. It has been a blessing to get to know her just a bit, and we are looking forward to seeing her more over Christmas break. I pray Psalm 91 over my kids all the time, and it is comforting to see the Lord’s protection and provision over Brad as he transitions out of our home and down his own path. Sidney is plugging away at school and is the rock star student managing a full schedule plus three online classes so she can graduate a year early. Some days I simply cannot figure out where she gets her energy; her drive and determination are commendable. She is accepted to UNL and is now spending a good amount of time working on scholarships as she tries to meet her goal of going to school for free. Knowing her, she will figure out how to meet that one too! Trevor is also doing well and is at that age when we hardly ever see him. He is a great kid and is doing well with quite a busy social life. Trevor turns sixteen in three short months, and I have to say I have never been more excited for one of the kids to get his license! The older they all get, the more I realize what a convenience it is when they can drive themselves all over town. Thankfully most of his best friends have already gotten their licenses which has been nice as he has been able to gain a lot of independence. And then there is Ryan who keeps us on our toes at all times. His seizures are still as out of control as ever which is nothing new. I took him to see a urologist this past week as Ryan often goes 12 to 18 hours without urinating then when he does go, it is a flood. I have suspected for some time that he is developing a neurogenic bladder since he has a neurogenic bowel and is unable to stool without his cecostomy. The doctor said he agrees he is likely on the way to losing his ability to urinate which means we will have to cath him several times a day. For now, we are waiting to find out the results of the ultrasound of his kidneys to see if there is any damage yet. If not, we will keep an eye on his bladder function and as long as he is not getting bladder infections, we will keep moving along until his body says it needs help. I have said for quite some time Ryan is losing strength and is slowly declining in his overall health; this appears to be the next thing. We continue to thank God for every day we have a happy, relatively healthy boy as we recognize he could be so much worse. We continue to face a new normal with each change, but God has been faithful to meet us at every turn. I have to say, Ryan has taught me so much about living each day with joy despite my circumstances. I love these verses – I Thessalonians 5:16-18 – and try to live each day in such a manner….Be joyful always, pray continually, give thanks in all circumstances, for this is God’s will for you in Christ Jesus. Every day is a gift. And honestly some are just easier than others. Some seasons of life are much easier than others. No matter what you are facing, God is so much bigger than your circumstances. He is faithful, He is sovereign, He is simply enough. I hope each one of you finds the joy of salvation this Christmas season and understands the hope of eternity that is only possible because Jesus came. Luke 2:11, 14 – Today in the town of David a Savior has been born to you; he is the Messiah, the Lord…..Glory to God in the highest heaven and on earth peace to those on whom his favor rests. Ryan has been status quo for quite some time now which has been such a blessing. Saturday morning at 130 am, I woke to Ryan having continuous seizures. Just before 2 am, I gave him Diastat, the emergency seizure medication we use when he has grand mal seizures. He continued to have myoclonic jerks every 2 minutes for the next thirty minutes. I wavered between calling 911 and praying he would sleep it off. Thankfully the seizures stopped. After a few hours of sleep, Ryan started seizing again, but they were not as bad. 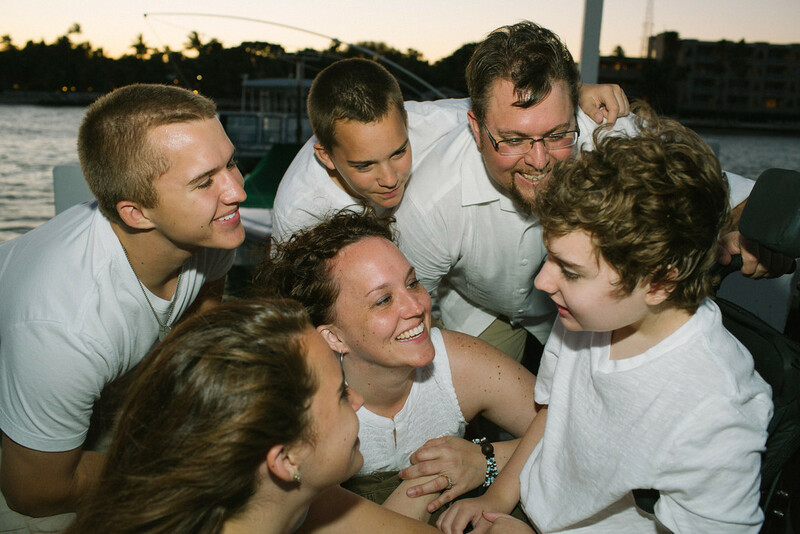 Throughout the day, Ryan continued to have many seizures, much more than his baseline normal. 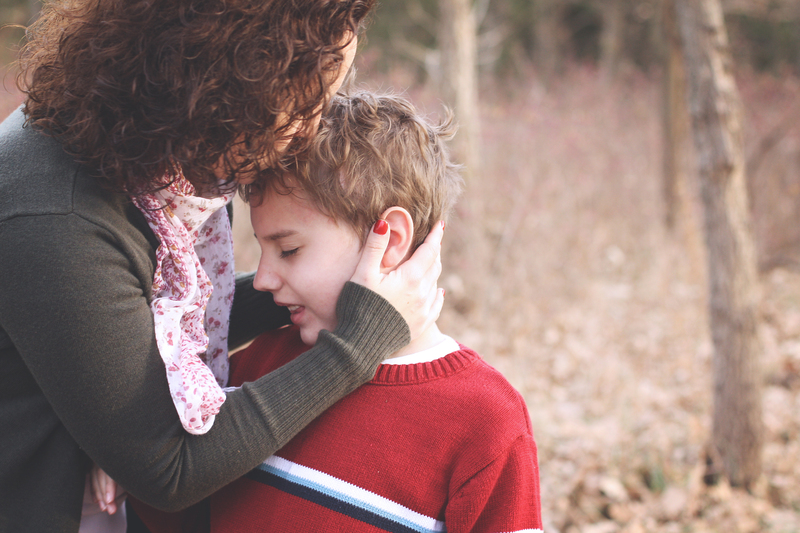 At 4 pm, he again had a significant amount of cluster seizures that would not subside. I gave him another dose of Diastat. The seizures eventually stopped but he did not sleep. At 730 pm, after ten big seizures in a fifteen minute period, Brad and I loaded him in the van and drove to the ER. Once we got in the van, the seizures stopped. Brad and I sat in the ER parking lot for at least ten minutes trying to decide what to do, and I finally decided to head home. Having been an ER nurse for many years, I knew that if we went into the ER and he did not have any seizures, we would be sent home. At this point I was both mentally and physically exhausted from all the stress and poor night’s sleep. My sister came over shortly after we got home. At 930 pm, the seizures started up again so Amy and I loaded Ryan in the van and off we went to the ER. Thankfully they did not stop this time so the ER staff saw what I had been dealing with since 1 am. Ryan got 3 mg of Ativan and a dose of IV Keppra. Travis and I made the decision to have him admitted to Children’s knowing if we went home this would not stop. Ryan and I took the ambulance trip to Omaha and got to his room at 1 am completely exhausted and stressed out. I spoke to one of the residents shortly after we arrived thinking she would write orders, and something would be done about his seizures. Over the course of the next eight hours, Ryan was put on a heart monitor but no other interventions were done. He continued to have numerous seizures with an especially difficult time from 230 to 3 am. At this point he was starting to almost choke on his saliva when he was having seizures which scared me as I have never seen him struggle like that. At some point around 6 am or so, a second resident came in the room. I told her of my frustration that no one was doing anything about Ryan’s seizures even though I had told the night nurse repeatedly what was happening – and the night nurse and tech both saw his seizures numerous times. She was not exactly kind and informed me they could not do anything until the neurologist showed up which I knew was not true at all. At this point my patience was completely gone. At 9 am, I told the nurse I was beyond irritated, stressed out and angry that nothing had been done in the past eight hours even as Ryan continued to have numerous seizures. She finally got an order for Ativan which helped Ryan fall asleep for a short time. I apologized for my attitude but explained that at this point, I had gotten one hour of sleep in the past 24 hours and was exhausted and stressed out. I even told someone I was a big, hot mess fully understanding my attitude was probably not the best but repeatedly explaining why. Soon after, the nicest pediatrician came in the room and saved the day. I explained to her that Ryan had now missed two doses of medications and had not had his tube feeding since 5 pm the night before. She was compassionate and a bit frustrated but got things moving. From that point on, Ryan’s stay was unremarkable and things started to improve thanks to the pediatrician who made some waves and got things done. Ryan got a big dose of Dilantin which helped a lot. I knew he also needed to sleep and that the lack of sleep was contributing to the continued seizures. He finally caught a break and was able to get some much needed rest. We also saw a neurologist whom Travis and I both loved. She ordered a new medication to use when he has cluster seizures. 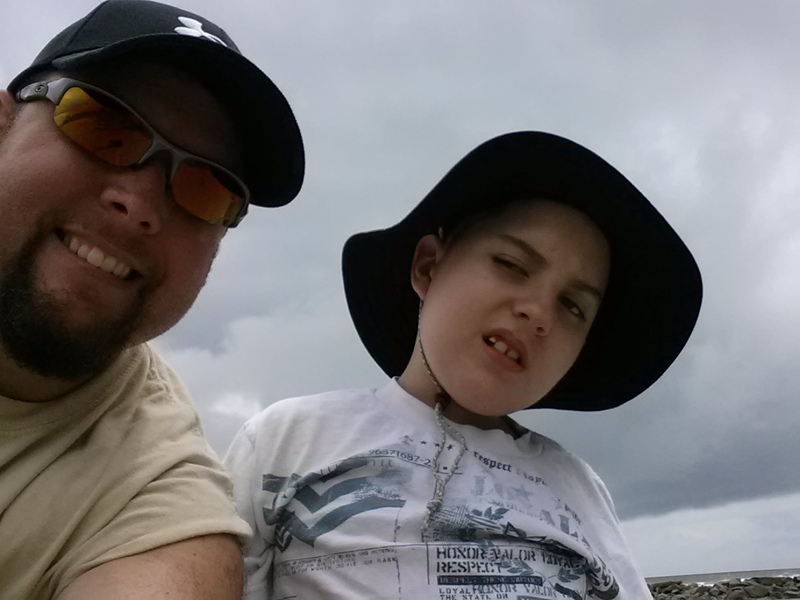 The seizures began to slow down, and Ryan was able to come home today. He has been home for almost four hours now and has been sound asleep on the couch the entire time. I have a feeling he will sleep for the next couple of days, and hopefully his brain will settle down and reset back to his baseline. Needless to say, it was a very stressful few days. We have dealt with grand mal seizures many times, but have not had this number of smaller seizures that continued to cluster together and kept getting worse. Even though I got a good night’s sleep in my own bed last night as Travis spent the night with Ryan, I am still completely exhausted. I think this is the most stressed I have been about Ryan since his brain surgeries several years ago. I just want to give a huge thank you to everyone who showed their concern and prayed for Ryan. Thank you to my sweet friends who brought meals too. What a blessing you both are to our family! Do not ask “What do you need? Can I do anything to help?” Just do it. If you ask if a meal would help, I will tell you no. I do not want to be a burden. I do not want to feel like a victim or that I cannot handle this on my own. Because I handle it on my own every day. Just put your thoughts into action. If you feel led to take a meal to someone or drop off a gift card, just do it. I promise it will be very appreciated. I had one friend bring two meals over with a very sweet card that essentially said “we are so sorry and are thinking of you”. Simple and to the point. Those two meals will be eaten this week as we recover from the stress and fatigue that takes days to get over. Another friend simply said “I am bringing you a meal and can do either Sunday or Monday. Which do you prefer?” I answered her and did not have to have the ongoing conversation on what she could do to help. Just today while eating dinner, a third friend stopped over unexpectedly with a big bag of food from Trader Joe’s and a beautiful fall plant. I cried when I saw her because I was so stressed out and her thoughtfulness meant so much. When trying to maintain one child in the hospital and the rest at home, life is much easier when someone just says what they are doing for you instead asking what you need. And trust me, those gestures are so very appreciated! Do not get mad or take it personally when I do not respond to you. If you ask me how I am doing and do not hear back, please do not text me again and say “are you there?” Of course I am here, and I am busy trying to survive through the stress and changes. I am trying to take care of my child and not think the worst. I am trying to maintain my composure without falling apart at the seams. I am dealing with doctors and everyone else who keeps coming in the hospital room. And I still have to stay strong for my other kids. People who have children in the hospital may have the time to respond, but usually they do not have the energy. It is very difficult to say the same thing over and over and over again. It is exhausting. And lets face it, family comes first. I may call you one of my very best friends, but I may not stay in contact with you because it takes all my energy just to keep my siblings and parents in the loop – and they need to know what is going on before anyone else finds out. Just because you do not hear from me does not translate to I do not care about you. Do not tell me about every situation you have had with your grandma, dad, cousin and uncle. If the situation was different, and I was not sitting in the hospital with my child trying to just survive the moment, I would care and be interested. But right now, in the midst of the acute situation I find myself in, I really do not want to hear about what worked for your relative. I do not want you to comb through all the choices we have made for our child and dissect what else we can do or the latest and greatest new technique or medicine you found on the web. Please just listen and be present in my pain and concern for my child. Please just show support and understand we are doing the very best we know how to do. We have to make decisions, and we worry all the time that we are making the wrong one. Hearing about how your uncle saw a doctor in the next state over is not pertinent to what I am facing right now. I do not intend to sound selfish and self centered. And I definitely do not intend to come across as an insensitive friend when you chatter on and on, but honestly, I do not want to hear it right now. Please just respect the choices we have made for our family. Know that even when I do not say it, I really care about you. I appreciate the prayers. I need your support. Sometimes I feel like a complete burden and worry about what others think. I am weak and I am imperfect, but I am doing the best I know how to do. Sometimes the emotions and stress are just too much to bear. Your love and support is invaluable. I am just not always good at verbalizing it. I hope these tips are received well, and I say them with good intentions. These are things I have personally experienced and also some I experienced during my days as a floor nurse in the hospital. It is amazing what patients and families tell the nurse. Whether a person or family is facing a difficult time with someone in the hospital or they have lost a dear family member or they are facing the loss of a job or whatever it may be, being present is the most important job you can do. Your actions speak volumes. Your listening ear is appreciated. It is easy to feel helpless, but when heartache and stress come, love can be expressed in many ways to show support. Again, do not ask. Just act. Thank you from my family to yours for the prayers. I cannot express how much it means to know so many have been thinking of Ryan and praying for his health. You are all so very loved! Late as it may be, I owe an update on Ryan. As you all know, he was hospitalized two weeks ago to start the Ketogenic Diet which is like the Atkins diet on steriods for lack of a better description. I am certain most people do not want to hear the details of ketosis. Two Mondays ago we made our way to UNMC and proceeded to sit in admissions for 2 1/2 hours waiting for Ryan’s room to be ready. We asked two or three times what was taking so long and were told the room was not ready. It was definitely a lesson in patience only to find out once we got to his room that the staff had been waiting all morning for us to show up since they had three empty rooms on the unit. We spent three nights and four days on the pediatric unit tracking Ryan’s blood sugar with pokes every four hours. We checked his urine for ketones four times a day. We held Ryan down for daily lab draws as the phlebotomists poked and jabbed and missed his veins. He still has numerous bruises and scratches to show the difficulty he endured to obtain blood. The doctor told us weeks before that Ryan would be taken off the seizure medication which caused his broken leg in March. Once he came to round on admission day, he changed his tune and said Ryan would not be taken off the drug. I was less than pleased to put it nicely. Then on Wednesday, the doctor changed his mind again and Ryan was taken off the drug cold turkey. We did not see an increase in seizures initially, but Ryan is struggling with a big increase in the amount of seizures he is enduring every day. We keep hoping and praying this will be the day the diet kicks in and the seizures begin to subside, but so far that has not happened. We were discharged on Thursday feeling just a bit overwhelmed at the measuring and monitoring we have to do, but once we were home, and I tearfully made it through that first night of figuring out this new normal, his diet has been an easy transition and his body has adjusted to ketosis very well. Only 3 1/2 hours after getting home from the hospital as I went to give Ryan his nightly medications, the J tube port broke. I jimmy rigged it with Sidney’s hair ties to keep it from leaking everywhere. This is the part of the feeding tube we give his daily feedings through which goes into his small intestine. Because of the high fat content of the new formula, Ryan’s stomach (the G tube port) does not tolerate continued or high volume feeds as we discovered in the hospital. I stayed home from work on Friday knowing we were headed back to Omaha for surgery to replace his feeding tube. After several calls with the GI doctor, we headed for surgery at Children’s. By the time we got home Friday evening, Ryan had a brand new feeding tube, and Travis and I were emotionally and mentally exhausted. We are both grateful for the easy transition to the diet, and we have found a routine for checking his urine for ketones and how to measure his formula, water and protein powder. Now if we can just get these seizures to calm down, I think we will both feel like these changes have been worth it. This diet is extremely expensive so I hope it works. All I know, as I have said numerous times in the past, is Travis and I have done everything we can to give Ryan the best chance at a seizure free, pain free life. He is happy, he is loved, he is spoiled, and he is here with us for a reason. And that, I can live with. The older kids are all well. Brad is happy and settled in his third week of college, and the middles are doing good too. Trevor and his best friend just got hired today by the pumpkin patch south of Lincoln to be zombies who get paint balls shot at them. I am certain they will have fun. Travis and I are simply enjoying this season with the kids.